A united collective of the most talented producers based in Dubai on one album for the first time by a Dubai based label. Dubai is a city of superlatives where all kinds of cultures and nationalities live together peacefully. Oil and Trade rich, Dubai is known for its opulence and style and with that comes an active vibrant nightlife attracting the world’s best music artists and dj’s playing alongside a host of locally based musical talent. After moving to Dubai in 2014 Tobie Allen, head honcho @ Bootleg Social Records saw and heard this local talent 1st hand. He realized he had a platform for local producers to showcase their music in Dubai and Internationally; Ma’ana: Sounds of Dubai was born. Over the last year Tobie & his Bootleg Social team have auditioned and collected a variety of tracks from Dubai’s best dance music producers. From Nu –Disco to Deep House, Soulful house to Tech house, right through to techno the response to his call was overwhelming. From an initial 65 submissions and with careful consideration the final track listing was cut to 21 varied club cuts including tracks by Andy Buchan, Arcade 82, Conan Liquid, Deep Hertz, Ilona Maras, Matthew Charles, Maxim Verkhoturtsev, Nick Hussey, Raxon, Ray Soo, Sam Fariso, Smokingroove, Shaun Warner, Chris Raynor, Ted Numan, Tobie Allen & Tom Chubb. 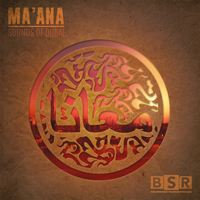 Ma’ana is an honest and up to date representation of club music from the crème of the producer crop in the Dubai scene. First in what is to be a series of compilations from Bootleg Social Records highlighting dance music in the region.